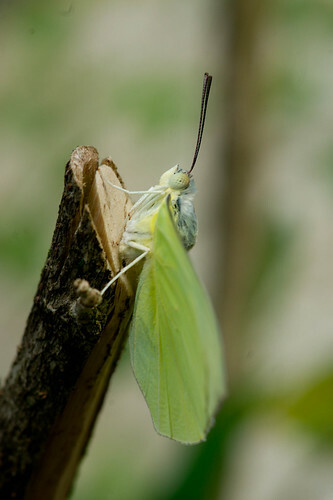 Butterflies are not easy to approach and hence getting close-up images of them are a difficult task. 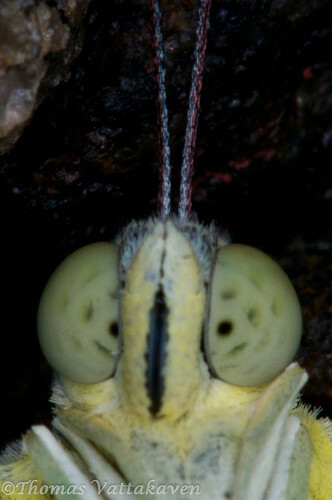 However, even if an opportunity should present itself, getting a close-up of their eyes is still hard. I was lucky to find this Common Emigrant butterfly (Catopsilia pomona) sitting still on a dry branch. 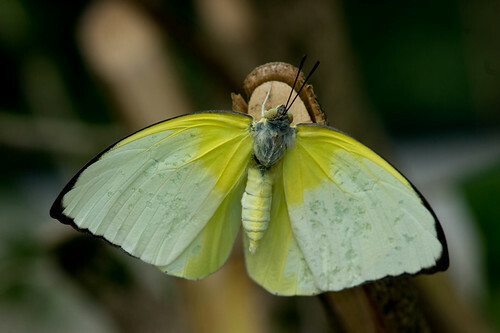 It appeared as though it had just emerged out from its pupa but something had gone wrong and it couldn't fly. 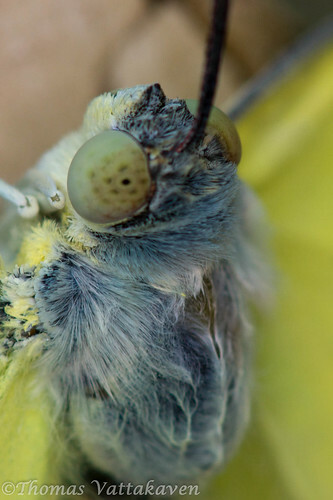 I assumed it would be easy enough to get a few close-up shots of its eyes, but for some reason, focusing on a butterflies eyes never works for me. 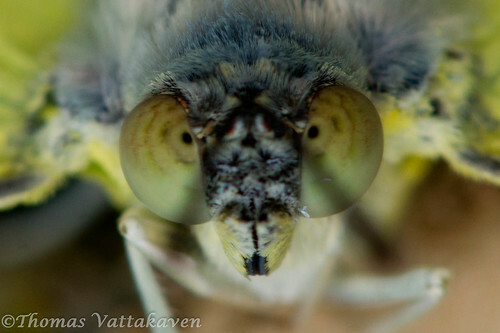 Unlike flies, dragonflies and wasps, whose extreme macro head-shots turn out awesome due to their compound eyes, the eyes of butterflies, which are also compound eyes, never turn out be as good. I suppose this is due to differences in the type and structure of different compound eyes in insects. On another note, did you realise how hairy a butterfly is? These hair-like structures are sensory in function, but also come in handy for picking up pollen when they dip their heads into deep flowers and help in pollination. PS: Here`s wishing all my readers a very happy 2012. I havent been very active in the past few months, but I hope to rectify that and will keep up with the regular posts henceforth.